There have been a couple of firsts Down on the Allotment in 2014. I grew Oca this year, it is pretty easy to grow in that it just looks after itself. Another big bonus is that the tubers seem to be quite hardy under the soil in Winter - so anything at this time of year under frost and snow is worth growing. But the thing I am most proud about is growing carrots! 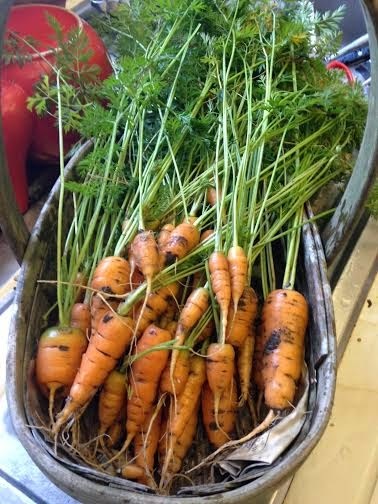 My heavy London clay has always meant that carrots grown in the soil were always forked and mis-shapen. This time I took the time and effort to sieve a couple of square meters of soil and add lots of sand and grit. Didn't thin them out for fear of attracting carrot root flies - just left them where I sowed the seed. So on Christmas Day (with the help of my furry kitchen assistant) we had home grown carrots for the first time! Wishing all my blog readers a Happy New Year! I wasn't sure what to do with this unusual vegetable, so I cooked a few Oca tubers until they were soft. Just a little salt in the water. Mashed them up with a little milk. I think I prefer the taste like this. Hard to describe but the Oca mash tastes a little bit like pease pudding, or perhaps mashed swede or chic peas. Would be quite nice as a veggie with a roast dinner. I might try adding butter and pepper next to see if it improves. Welcome to Matron's Christmas Veggie blog. 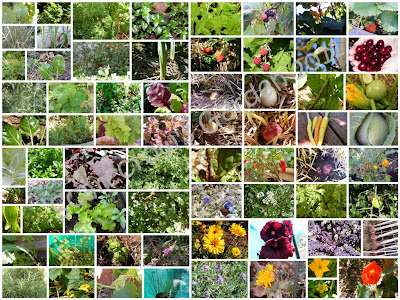 It is quite a challenge to grow anything at this time of year, so thank you to everyone who sent a photo. Here's what's on the menu in your neck of the Christmas woods! Well this lovely plate of citrus fruits was sent in from the Estudio Campana in sunny Almeria, Spain. Many thanks to Stacy at Plot number 58 for this lovely Cavalo Nero. 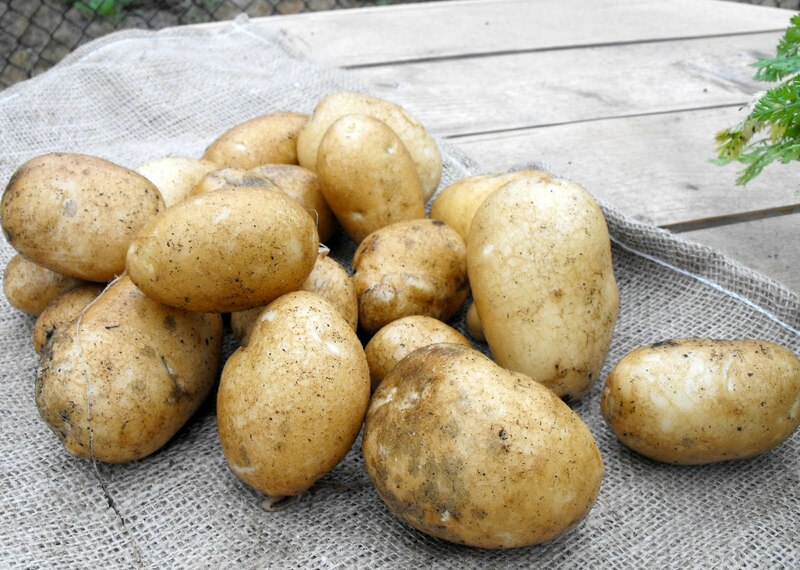 This is a wonderful Winter crop, just perfect for the Christmas Dinner plate. Jane sent in this beautiful Swiss Chard. 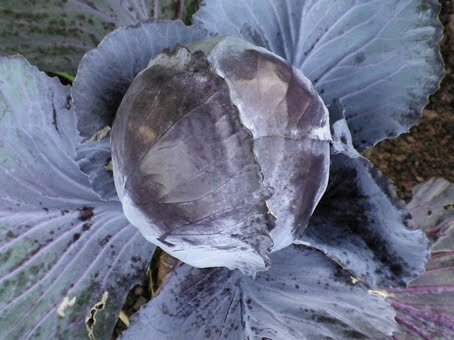 This is one of my favourite Winter veg, it brightens up any plot right the way through to Spring. And what a feast from Scarecrows Garden down in the Southern hemisphere. Christmas dinner in Australia must be a very colourful event. 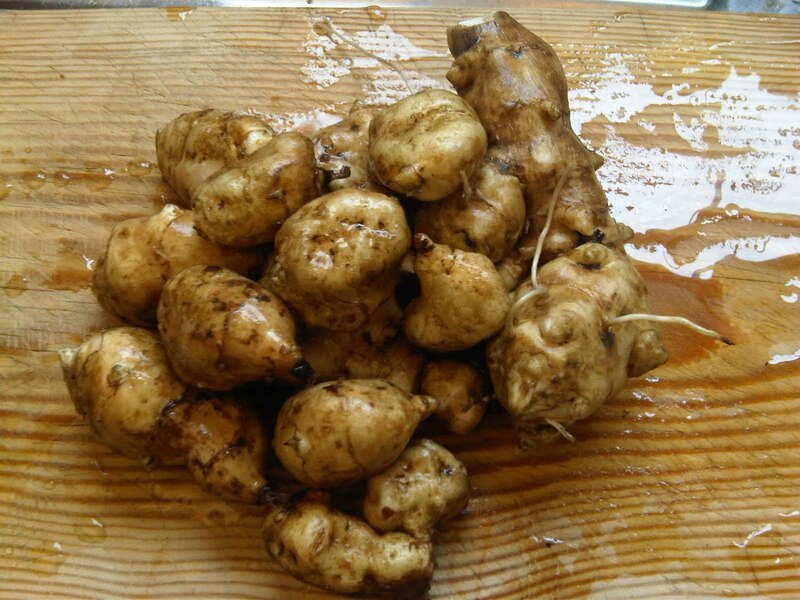 And here is Matron's own offering, these Jerusalem artichokes are a bit smaller this year. They are such an invasive pest if you don't keep them under control. I have been picking stems and stalks all year to try to keep them under control. That said, I just adore the flavour - and now that I work from home I don't have to worry about the antisocial consequences from eating bowls full of these... fartichokes! 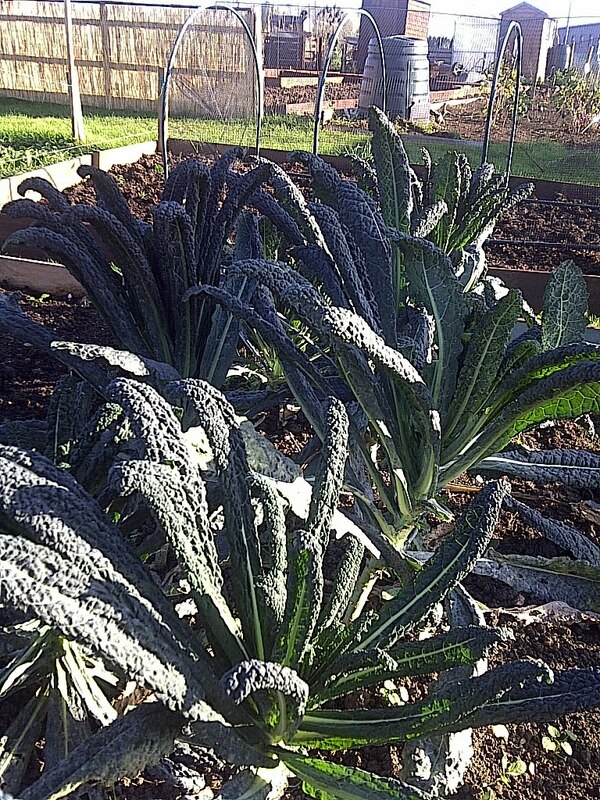 Rob from Birmingham sent in these lovely brassicas, Gloire de Portugal. Really fresh green leaves are a real delicacy on the Christmas table, freshly picked and steamed. Bon appetite. Jeffrey from the Eagle Close allotments sent this lovely selection of squashes and pumpkins. I keep meaning to try growing spaghetti squash (left) I must put it on my list for next year. Serious congratulations to Jennifer for her first ever attempt at growing potatoes!! Once tasted you are hooked on growing your own .. forever. This variety California White. What a wonderful trugful of veggies. Thanks to Kay at Gardening Tools. 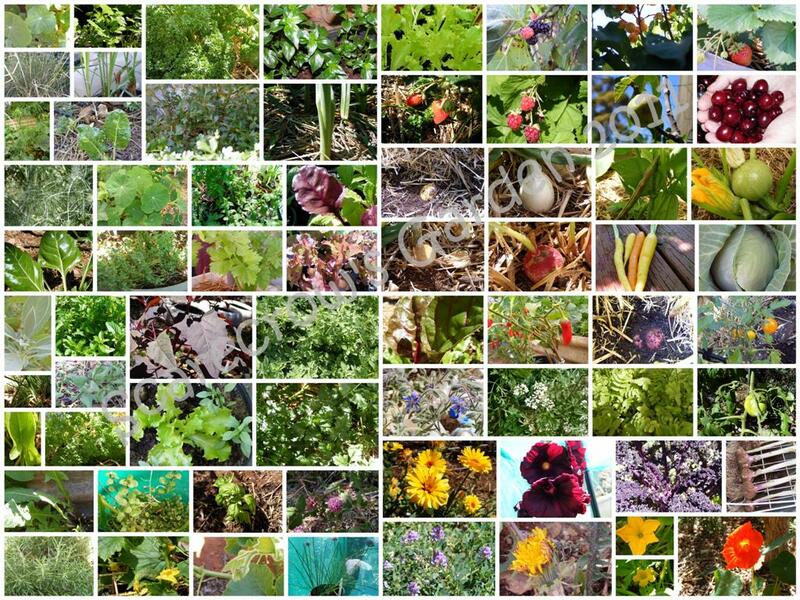 Beautiful photos of beautiful veg on the Christmas Table at Kelli Boyles Garden. What Christmas dinner would be complete without fantastic home grown parsnips. 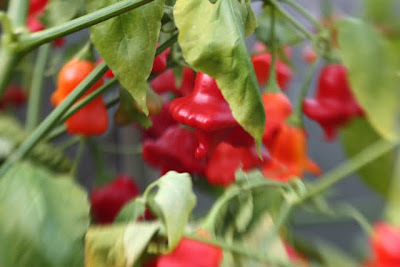 Bon Appetite goes to Nome at the Nome Grown blog. 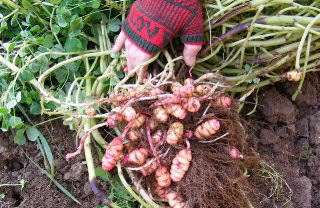 A fresh crop of Oca from the Oca testbed blog. Fresh and in season right now! Thank you Ian for adding wonderful variety to my Christmas Veggie blog. 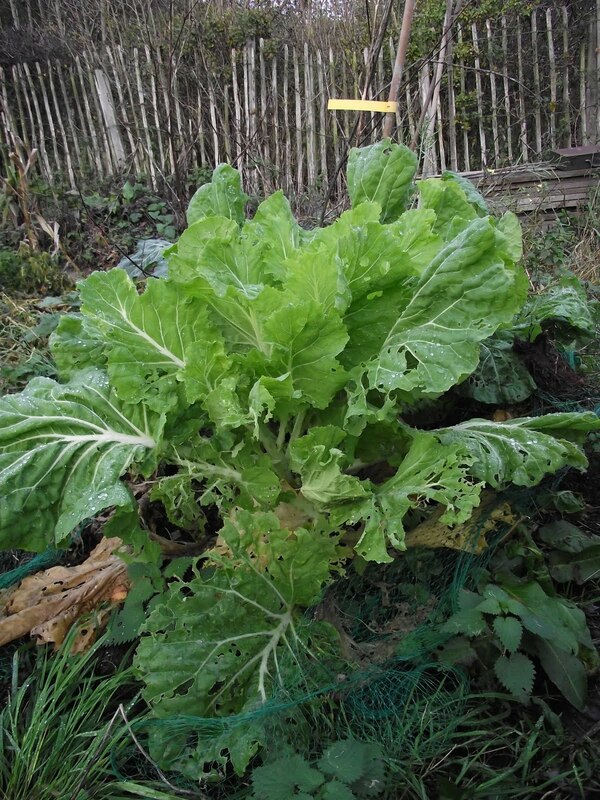 Jeffrey at the Eagle Close allotments has inspired me to attempt more green salad in Winter. These pea shoots are decorating the best plates in the best restaurants at the moment! What a beautiful still life painting this would make! 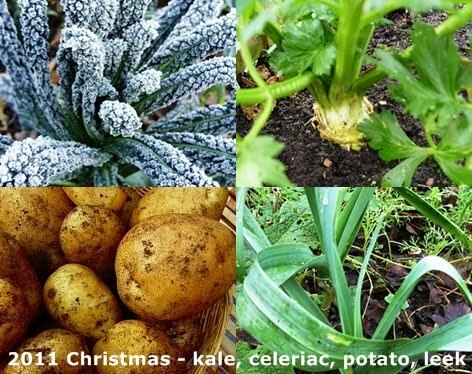 Thanks to Peggy from her Organic Growing Pains blog in Cork, Ireland for this festive fare. I just adore brussels sprouts! Beautiful red Cabbage from Orlaith. This is an essential ingredient in Matron's Christmas Dinner, just steamed with apple, onion, vinegar, cloves and seasoning. Brilliant! And my lovely blog-mentor Stan for starting me off on this blog-quest all those years ago. Inspired! Wishing you all a Veggie Christmas! Earlier this Summer I planted some Oca tubers in a black plastic dustbin full of compost. This is the first time I've grown them. All the advice given told me to leave them to mature as long as possible so that the underground tubers swell as much as possible. Well, we've had a lovely long, warm Autumn and they have had the best conditions possible. A sharp frost overnight has really knocked them back now so it is time to see what lies underneath. So I decided to start to dig down with a trowel to see what was there. One by one the tubers appeared. I only took two plants today but I have quite a few more. These striking tubers resemble Jerusalem artichokes. I did plant different coloured tubers, so there were different varieties coming up. I tried eating some raw. Not unpleasant - the texture of a crisp radish but without the heat. A faint flavour of a lemon acid.. I guess it would be oxalic acid. Probably better chopped up in a salad to give texture. Will have to try cooking them and see if they improve.